As the new year gets into gear, all of us at Petswelcome look forward to expanding our list of pet friendly hotels, inns, b&bs, cabins, and vacation rentals to make it easier for you to go anywhere you want with your pet. We’re always amazed at the different kinds of lodgings that accept pets as well as the variety of pet policies and the amenities they offer. We thought the best way to give you a snapshot of what’s to come is to look back over the past two months and highlight some of the great new pet friendly lodgings we’ve signed up so you can see the variety for yourself. They come from all parts of the country, from Cape Cod to Big Sur and, depending on their locales, offer a host of great nearby sites and activities ranging from snow skiing to historic battlefields, great beaches and top flight universities, to name a few. If you’re heading to their area, we highly recommend that you check them out. One thing is for sure: if they’ve signed up with Petswelcome, they won’t just tolerate your pets but will welcome them gladly and with open arms. Talk about pet friendly, the Paw House pet policy reads as follows: “Some hotels accept dogs. Others tolerate dogs. The Paw House caters entirely to dog owners. You will be charged an additional fee of $10 if you DO NOT bring a dog.” Then factor in that they have on-site dog care, custom built dog beds in every room, and an agility course and it will become clear that you will never find a more pet friendly lodging anywhere. And, oh yeah, we forgot to mention that being in Killington they are centrally located to give you access to some of the best skiing on the East Coast. Bravo to Mitch and Jen, the proprietors, for running such an uber-pet-friendly establishment. Homestead Inn, Blowing Rock, NC. Rob and Caroline, the owners of the Homestead Inn for more than 20 years, love their pets, which are comprised of three German Shepherds (Kona, Ziggy the Piggy, and Aldo) and three cats (Roman, Bella and Rosie). 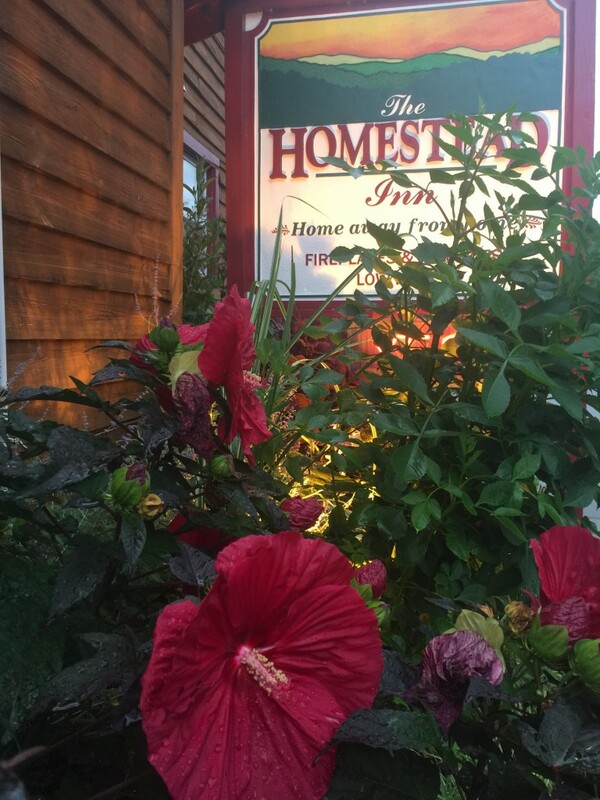 Located in the beautiful Blue Ridge Mountains, the Homestead Inn offers great access to hiking trails including the Glen Burney Trail, the Bass Lake Loop, and the Rough Ridge Overlook Trail, among many others. And, of course, they have a great pet policy: All sizes and pets welcome with just a $10 fee per night. 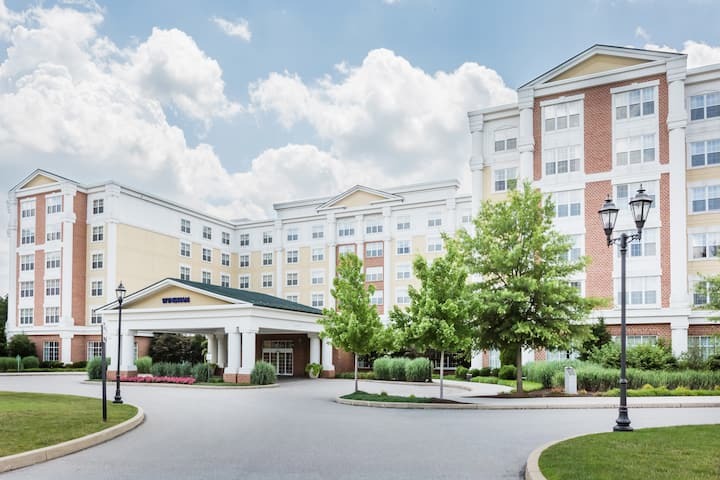 If you’re thinking of staying at a larger hotel with your pet and are interested in visiting some historical sites, the Wyndham Gettysburg is a great choice. 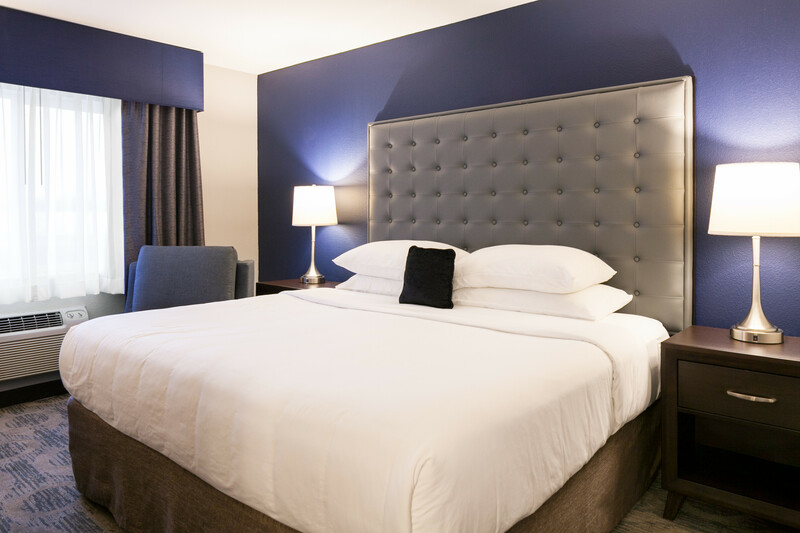 Located right outside downtown Gettysburg, the hotel features Federal architecture yet has all the modern conveniences including an indoor pool, movie theater and a fitness center. Of course, you’ll want to hit the Gettysburg National Military Park which is pet friendly. And if shopping is your thing, you can head over to The Outlet Shoppes at Gettysburg which features 70 popular retailers. The hotel welcomes dogs up to 50 lbs. with a $30 per day pet fee. Located in beautiful Auburn, WA, the Red Lion Inn & Suites offers great accommodations at an affordable price and is surrounded by plenty of attractions to keep your whole family entertained. These attractions include the pet friendly Argus Ranch and Game Farm Park. The Inn welcome both dogs (up to 80 lbs.) and cats with a $15 one-time fee. Two pets per room are allowed. With winter in full fury here in the Northeast, the idea of hitting a beautiful resort in a desert landscape sounds like a great idea, especially with all the amenities the resort offers. From cabins to motel rooms to RV sites and mobile homes (all with pet friendly options), the Roosevelt Resort Park caters to all tastes and lifestyles. 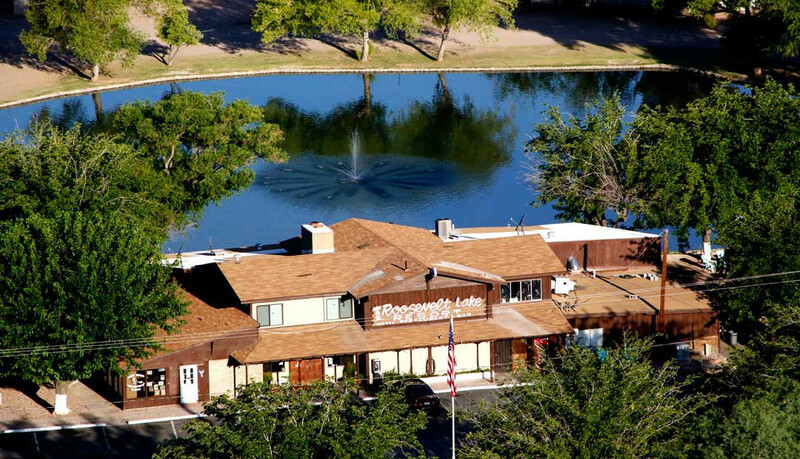 Just a few minutes from Roosevelt Lake (the largest lake in the Tonto National Forest), your whole family can enjoy outdoor activities including hiking, fishing, and rock climbing. And, once back at the resort, you can enjoy a game of horseshoes as well as a delicious meal at their on-site bar and grill. Up to two dogs are welcome (on a leash). A beautiful bed & breakfast that allows pets is a wonderful thing. Especially if it’s located in one of the premier destinations in the country: Savannah’s beautiful Historic District. Built in 1896 by Honoria Foley, the Foley House was constructed on the site of a house that was destroyed by the Great Savannah Fire of 1889 and is rumored to be haunted by an early visitor to the house. A good reason, then, to indulge in their Haunted Savannah package which, among other things, includes a Haunted Pub Tour and lunch for two at the Moon River Brewing Company. Sounds good to us! All sizes of dogs and cats are welcome at the inn with a maximum of 2 pets and a onetime fee of $50. 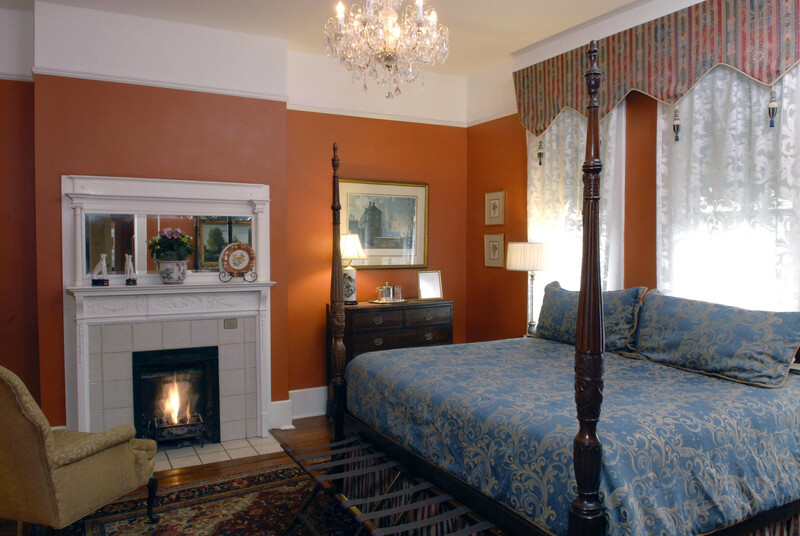 If four-poster beds, fireplaces and whirlpool tubs appeal to you—as well as the beautiful ambiance of a world-class inn—then the Dan’l Webster Inn & Spa might be the perfect getaway for your whole family. 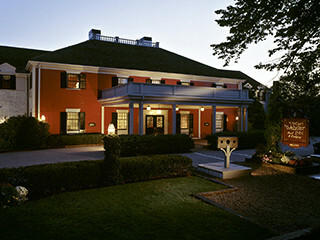 Located in Sandwich, Cape Cod’s oldest town, this inn was the former watering hole of the American statesman Daniel Webster and features a top-flight restaurant, a full-service spa and an outdoor pool and gardens. The inn offers a select number of pet-friendly rooms for pets up to 50 lbs. with a fee of $50 per day (maxing out at $100 per stay). 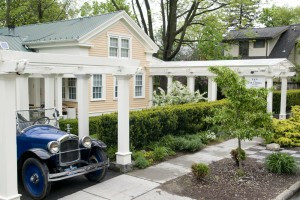 Built in the 1830s, the Inn on Columbia offers beautiful accommodations for travelers and their pets alike, including fireplaces, skylights, decks, whirlpools and custom built furniture. The hosts, Kenn and Madeline, will make you feel right at home and will be happy to point you to the nearby sites and destinations that make up the beautiful Finger Lakes region of New York State, including pet friendly walking trails, parks, restaurants and wineries, as well as downtown Ithaca, Ithaca College and Cornell University. The inn welcomes dogs (all sizes) with a $25 pet fee. We know a pet lover when we come in contact with one and Inez Vermaas, the owner and proprietor of the Enfield Manor Bed and Breakfast, is certainly a pet lover. 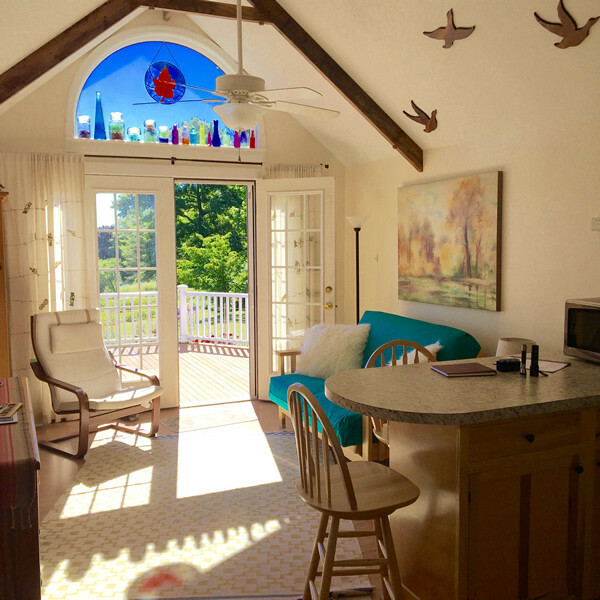 When she first contacted us, she sent us pictures of her Golden Retrievers Floyd and Sally who will be happy to welcome other canine guests to the Mallard Cottage, the vacation rental that is the pet friendly component of Enfield Manor. The 15-acre property is also located in the beautiful Finger Lakes region and offers stunning scenic views as well as access to downtown Ithaca, Robert Treman Park, Watkins Glenn, Cayuga Lake and the many pet-friendly wineries and breweries including Buttonwood Winery, Americana Winery and Brewery, and the Grist Iron Brewery to name a few. The Mallard Cottage welcomes all types of pets with no fee or maximum limit. There is a $400 refundable deposit in case of damages. If you’re looking for the ultimate in beautiful West Coast scenery than you’ll do no better than Big Sur, CA. And, as luck would have it, there’s a great pet friendly campground with cabins located right in the heart of it. 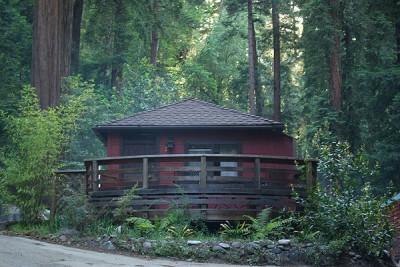 The Riverside Campground & Cabins offers thirty-four sites for tents and RVs and twelve cabins on sixteen majestic redwood-filled acres along the Big Sur River, with beach access and hiking trails just ten minutes away. You can watch as California Gray Whales migrate past during the winter and Blue Whales and Humpback whales share the waters in the summer. California Condors are also in abundance. Riverside welcomes dogs and cats with no weight limit. There is a $5 per night charge per dog at the campsites and a $30 per night charge in their cabins and rooms.